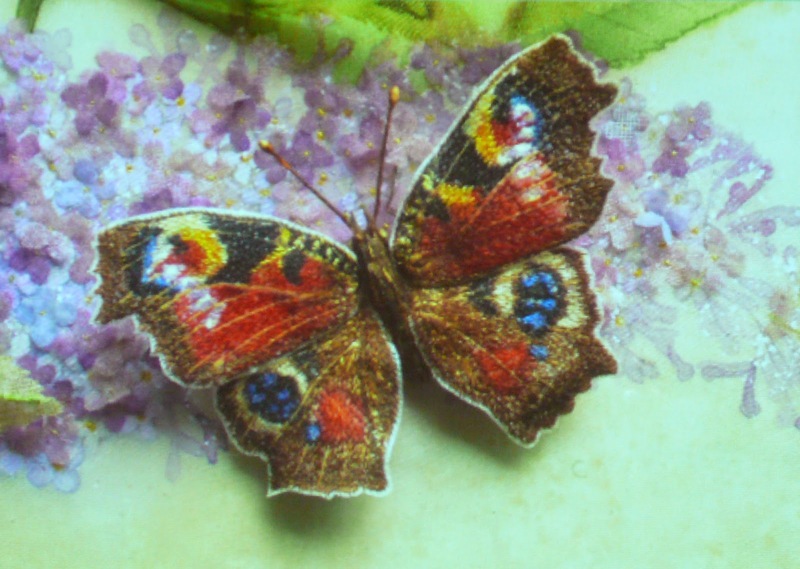 We enjoyed a delightful evening with Jane on Monday when she took us into her wonderful world of butterflies. Her enthusiasm was infectious and we were soon all transported into flower fields and bluebell woods, a far cry from the winter weather outside! Jane told us all about her life in Dorset and how she and her husband have created a beautiful butterfly haven around their home. 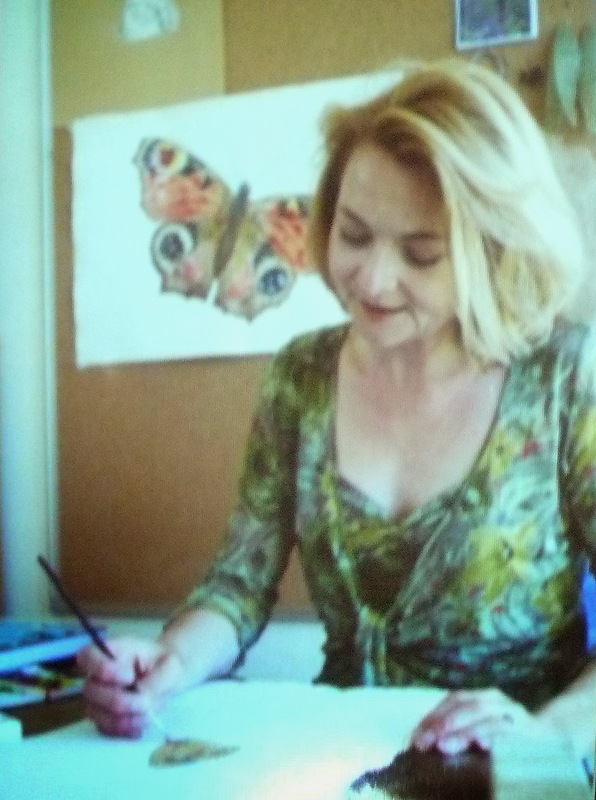 She explained how she worked, starting by studying butterflies in their natural surroundings, then drawing and painting them. She uses a variety of very fine fabrics, including habutai silk, chiffon and organza. She also works with very thin wire, Japanese floss silk filaments and 20 denier thread. Needless to say, her needles are exceptionally fine as well! 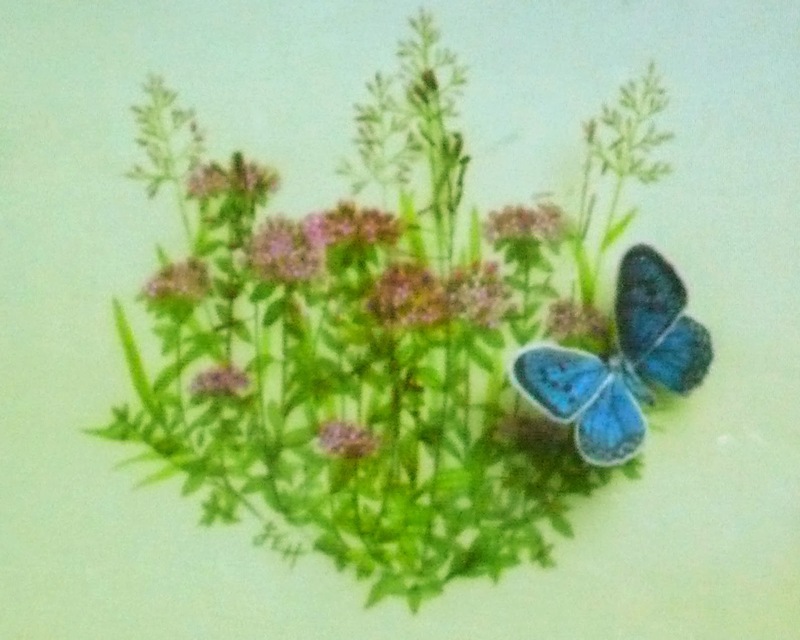 She is currently working in association with the Royal Entomological Society to create all 72 of our native species of butterfly in stitch. Each butterfly can take up to 2 months to create and will be 'adopted', requiring a donation, to raise funds for conservation projects. 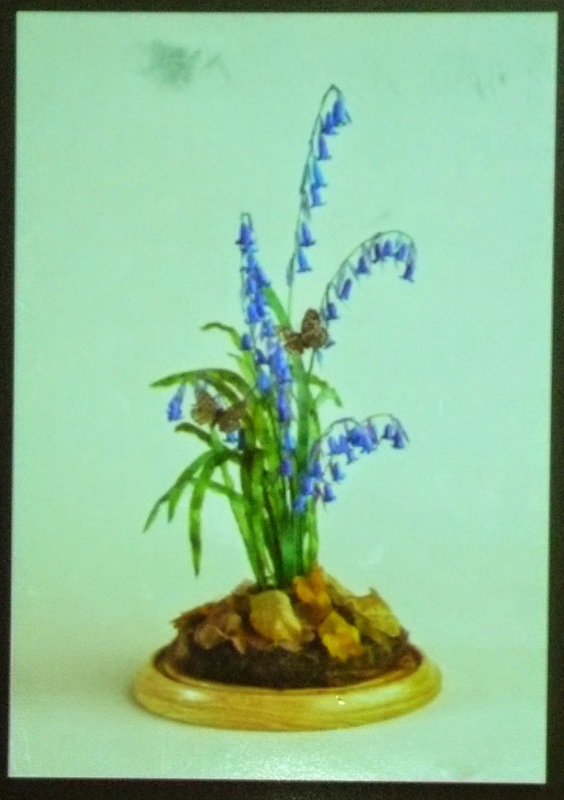 Jane also brought some inspiring examples of her 3-D work to show us and explained how she created these bluebells, using Modelling Magic supplied by Art Van Go. Many thanks Jane for a very enjoyable talk, it was great to meet you and to learn about your creative process and your passion for nature.